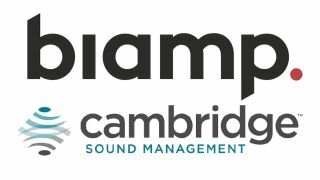 Biamp has acquired Cambridge Sound Management (CSM) from Gladstone Investment Corp. Headquartered in Waltham, Massachusetts, CSM is a sound masking provider. CSM sells through a network of integrators for distribution and support reach; this model—and many of the CMS's clients—are identical to Biamp's, which allows a straightforward and speedy combination and expansion of both entities' distribution networks, according to the companies. "The acquisition of Cambridge Sound Management unites two great brands in the professional audiovisual market," said Rashid Skaf, president, CEO, and co-chairman, Biamp. "Together, we offer customers better access to industry leading solutions that manage sound and video to address a wide array of modern communications and collaboration challenges. It has been just one year since I led the acquisition of Biamp with Highlander Partners with the stated intent of leveraging it as a platform to build a respected provider of comprehensive audiovisual solutions. This transaction is the first evidence of that strategy being implemented, but far from the last. Biamp is on the move!" Under Skaf's direction, BIamp has charted an aggressive growth strategy that blends organic product line and distribution expansion with entry into new markets via acquisition; the addition of CSM is the first realization of the second part of that strategy and a significant commitment to an entirely new solution category, BIamp said.